History of court swords. The court sword, also known as the small sword, was a light, one-handed sword developed in France during the late Renaissance period. As a thrusting sword, the blade was usually of a triangular cross section, though rhombic and spindle cross-sectioned designs were not unknown. In most cases the court sword lacked a cutting edge. The blade would rarely extend beyond 33 inches (85cm). As a weapon it was a popular and highly effective sword for duels. 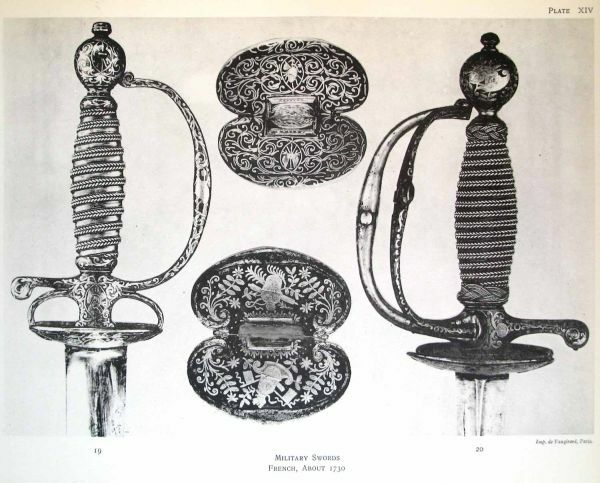 The court sword was deemed a status symbol in the 18th century, and through the gentleman’s duels of the period some notable systems of bayonet usage were developed, sharing as the short sword did the cross section of the contemporary bayonet. The guard is typically of a shell type rather than a cross guard like longswords and broadswords, and the hilt tends to incorporate a knuckle guard to protect the bearer’s hand. The court sword has been adopted by many military corps as a ceremonial weapon, and even saw actual deployment up to the First World War.